Please Note: Due to limited space, tickets are required to attend this year's event. Tickets will be released on ChimneyRockPark.com on April 1 at 9am. Due to the large number of guests who attend the service, no one can be admitted through the gate after 6am. 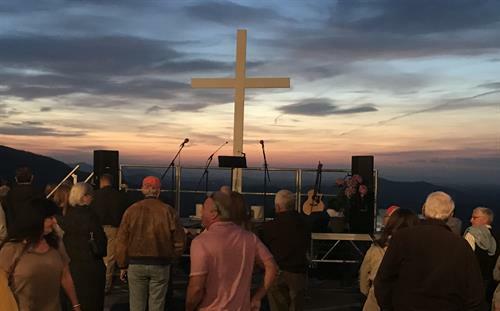 Cost: Admission to the Sunrise Service is free. Guests are invited to stay and enjoy the Park all day. A breakfast buffet will be offered at the Old Rock Café following the service for $11.75 for adults and $6.99 for children under 10; drinks are not included. Guests who would like to return to the Park after breakfast can show their Old Rock receipt and bulletin at the Ticket Plaza to receive free admission for the day.